a) Bombers are needed "now" (US is getting more and more unstable and trying t kill Russia as opponent). Thus to no need to risking schedule postponement for years in case of failure first iteration. b) First production lines have to be rebuild people trained. Development is not only putting carbon fibre panels together. I bet there were many virtual projects of this bomber in the last few years that were examined by the air force. Hole wrote: Development is not only putting carbon fibre panels together. I bet there were many virtual projects of this bomber in the last few years that were examined by the air force. What you are talking about would be called the Detailed Design phase not a development stage, all development stages are completed before The preliminary design because that is the stage before they move from paper to reality and start shaping materials and putting things together and after they do that then they move onto manufacturability stage which is where they construct prototypes and test in various ways and AFTER that they would move onto the mass production stage completing the project. Hole is right. Many proposals have been explored until to complete the preliminary design. In fact in this same topic there are links to news that talk about a preliminary design completed by 2014. Since then until now very likely Tupolev and the UAC explored with the Russian Ministry of Defense many improvements. After the preliminary design there a stage of technical design, or technical project, in which the work on prototypes is included. If the aircraft begins a new stage now, is this one of technical design or technical project, and to begin this stage, is required the approval of the Ministry of Defense for the previous work, called preliminary design. Some guys saying it will be completed by 2014 means nothing it wasn't done by 2014 and that is clear. you have any idea how many times Russia has said this will be done by this date or this will be done by that date only for it to turn out to be a load of crap? tons of times and thats fact. Again I don't deal with what if's but reality going by the link YOU POSTED they are not past, or at the preliminary design phase if they are developing yet that means they are still in the paperwork phase. Has for the rest of your comment, I literally just said after the PD stage they move onto prototypes construction, I have no idea why you repeated what I said after you quoted me. The magazine Air & Cosmos gives interesting information about the project of the new Russian bomber PAK DA. So, it is reported that the competition for its creation was announced in 2007, the winner of which was the Tupolev Design Bureau in August 2009. The KB has signed a three-year contract with the Ministry of Defense of Russia on the R & D "Messenger". Within the framework of the research project of the Design Bureau, Tupolev prepared a draft "product 80", approved in the spring of 2013. On December 23, 2013, the UAC for its part signed a contract for a technical project of PAK DA, which was approved in 2016. 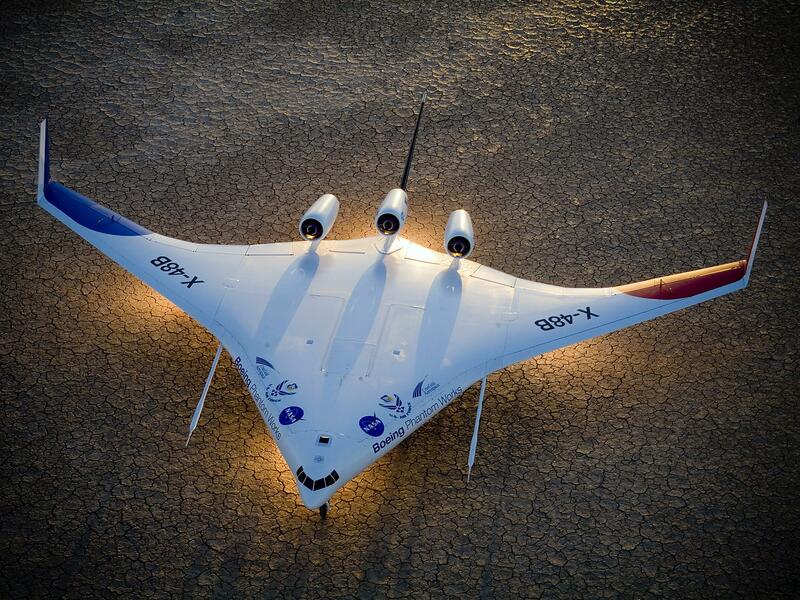 Product 80 is a "flying wing" takeoff weight of 145 tons and a payload of 30 tons. PAK DA is almost twice as light as Tu-160 and is located between Tu-22M3 and Tu-95MS. Tu-160 weighs 275 tons, Tu-95MS 185 tons and Tu-22M3 weighs 124 tons. The head of long-range aviation Anatoly Yakovlev said that the PAK DA will be a plane created according to the "flying wing" scheme with subsonic speed and a range of 15,000 km without refueling. The aircraft will be equipped with two engines "Product of the Russian Federation" with a thrust of 23 tons, created on the basis of the engine NK-32-02 ("product P"). The company ODK-Kuznetsov began its development in December 2014. During a press conference in December 2014, Anatoly Yakovlev said that the prototype PAK DA will take off in 2019, and the aircraft will go to the combat units in 2023-2025. However, in 2015 the idea of ​​resuming production of the Tu-160M2 was accelerated and the PAK DA program was postponed to a later date. Deputy Defense Minister Yuri Borisov said that because of the Tu-160M2 program, the PAK DA project "will be postponed somewhat." It can be assumed that the plans for PAK DA have shifted to the right about five years. Since then, it is logical that some improvements have been introduced, in order to underperform not the modernized variants of the Tu-160 and Tu-22. The project would be to begin the phase of technical project. They have clearly finalised the design requirements... ie the speed, the layout, the expected RCS, the range, the payload, the onboard sensors, the crew size and location etc etc. And have likely decided on a planform and basic design to base the prototype on so now they will likely start building prototypes based on scale models they have been no doubt testing in wind tunnels and radar chambers to test RCS and aerodynamic performance to work out the final shape and get some prototypes flying to test to make sure the results confirm what the computer models likely suggested in terms of performance. this will be done by that date only for it to turn out to be a load of crap? tons of times and thats fact. They have finalised the design and layout and now will make prototypes... what is the big deal? They have already said the decision to put the Blackjack back into production reduces the urgency in getting a replacement bomber into service so the introduction dates for the PAK DA can be delayed. It seems logical to produce the Tu-160M2 and the PAK-DA simultaneously between 2025 and 2030. Production of the Tu-160M2 will be in full swing in 2025 and the PAK-DA could join in with one plane being produced in the first year and than gradually rising to full production in 2030 when the production of the Tu-160M2 will start do wind down. They are not making prototypes where the heck are you getting that idea?. That would be all over the news, so don't start saying they are making prototypes because they aren't. Like every article, the article is significantly more credible in the part talking about the past, about the contracts signed and about the history of the project, than about projections toward the future. Since the decission of modernizing the Tu-160 with a return to the production was made, is very likely that a stage of modification and improvement of the initial project was opned. Why ? Pak-da according to the article is twice as light as tu-160. Being subsonic, no need lot of power to reach more than mach 1, the main issue is to make it able to fly 15 000km as wanted so reducing power increase range. I've never heard of anyone ever making a new generation of engines for strategic aircraft intentionally weaker than previous generation. If anything their making a high by-pass version of NK-32, which means their trading high exhaust speed for pure thrust. You don't seem to know what your talking about, intentionally making the NK-32 high-bypass means greater payload capacity and range (at the expense of supersonic speed), it will likely have thrust greater than 25 tons not less. Besides the 15,000 km range has already been achieved by the Tu-95 series, if anything it has to be exceeded because the PAK-DA will likely have the advantage of a blended wing-body design, the use of winglets, the use of 3D-printed composite materials and shape memory alloys, the use of Continuous Climb and Descent Operations, a modernized Flexible Navigation System, as well as placing the engines above the chassis near the vertical tail (both to reduce drag and RCS). I'm not expert at all in engines. I was just pointing that tu-160 is supersonic so its engines are adaptated to its function. Pak-da is suppose to be subsonic and 2 times lighter so using engines made for a supersonic plane isn't the best idea. It's not making weaker engines but adaptated engines. I've never heard of anyone ever making a new generation of engines for strategic aircraft intentionally weaker than previous generation. If anything their making a high by-pass version of NK-32, which means their trading high exhaust speed for pure thrust. They say "on basis" what it IMHO quite broad term. Thrust of 23 tons is actuallyan enormous increase !. NK32 has 137kN thrust and 245kN with afterburner. They were talking about making a geared high bypass turbofan based on the NK-32 for use in large subsonic aircraft... including to upgrade the An-124, but to also build twin, four engine, and 6 engined transports in the capacity of 80-90 tons payload, 150 tons, and 250 tons respectively, and also for a subsonic flying wing PAK DA. The NK-32 itself would be upgraded too and used in the Tu-160M2 and Tu-22M3M. Moscow. January 8. Interfax-AVN - "Tupolev" in the beginning of 2019 will begin to manufacture the first prototypes of the promising long-range aviation complex (PAK DA), a source in the aviation industry told Interfax. "The transfer of the design documentation of the PAK DA to the Kazan aircraft plant is nearing completion, construction will begin in the coming months," the agency’s source said. As reported, the promising long-range aviation airline (PAK DA), created by Tupolev (included in the UAC), is intended to replace the Tu-160, Tu-95 and Tu-22M3 in service. According to official data, the strategic bomber-bomber of the new generation will be made according to the aerodynamic configuration of a “flying wing” (without tail unit) and built using stealth technology. It was also reported that the PAK DA will be subsonic and will be able to carry more weapons than the Tu-160. According to Interfax sources, the PAK DA will be equipped with hypersonic weapons and defensive weapons - air-to-air missiles, which will allow the aircraft to fly unaccompanied. In February 2018, the director of the Kazan aircraft factory Nikolay Savitsky announced the start of development work on the creation of the PAK DA. "At present, the technical appearance of the aircraft is protected, a contract has been concluded for the performance of experimental design work on the construction of prototypes," said N. Savitsky. Earlier, the general director of Tupolev, Alexander Konyukhov, told Interfax that the rollout of the first PAK DA prototype is planned for 2021-2022. Yury Borisov, being in the position of the Deputy Minister of Defense of the Russian Federation (now Deputy Prime Minister), stated that PAK DA can make the first flight in 2025-2026, and the start of serial production is scheduled for 2028-2029. He stressed that the prospective bomber under development should carry as many weapons as possible, be invisible and use any airfields. As reported, in 2009, the Tupolev Design Office signed a contract with the Ministry of Defense of the Russian Federation for research work under the code "Messenger", as a result of which a draft draft of PAK DA was prepared. More weapons, AA missiles and huge range and loiter time that comes with flying wing design? PapaDragon wrote: Subsonic flying wing? THE expert form Lider shipbuilding programme? For now a few hypersonic missiles should be enough. Hole wrote: For now a few hypersonic missiles should be enough. for sel defense? DEW is always cheaper and you have as much ammo as energy in fuel. Not a great surprise as Tupolev have a history of being conservative and practical... they built the Tu-22M instead of the T-4M. The latter would have been vastly more expensive to make and operate and not been especially more useful. This new aircraft will have inflight refuelling so for non strategic missions range wont be an issue... especially with AAMs to defend itself, while on strategic missions the weapons it carries are likely to be very long range cruise missiles able to fly 5-10,000km so making the bomber transonic... allowing a supercruise flight profile... if they can get 23 tons dry thrust from the NK-32 engines then fitting four externally above the tail section will get the advantages of fuselage lift and operating at relatively high altitude means fuel efficiency and higher flight speeds you could get a smaller lighter aircraft than the Blackjack with engines with dry thrust almost as powerful as the current engines are in full thrust settings... so super cruising should be easy to achieve, which means being able to cover enormous distances rather more quickly... having a flight speed of mach 1.6 or more (considering the larger heavier Tu-160 with only slightly more thrust is a mach 2 aircraft) the F-35 would not be suitable to intercept such a threat. 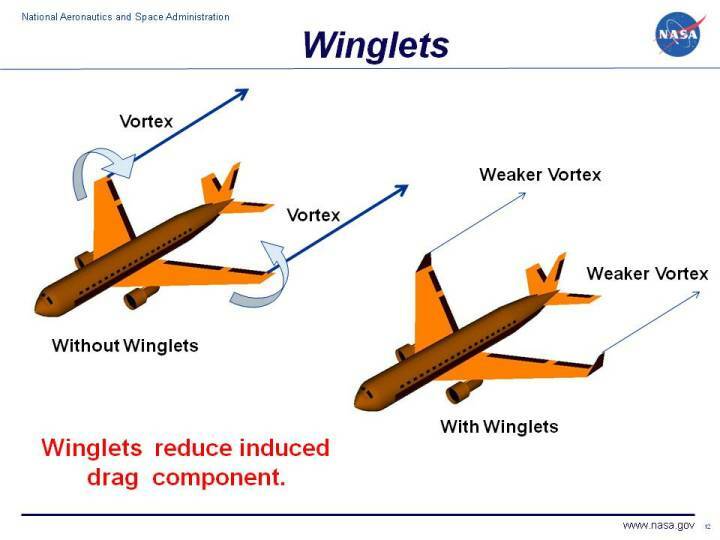 In fact if 23 tons is the dry thrust then the AB thrust could be 30 tons per engine or more... which should shorten take off run and allow the aircraft to operate from airfields without a variable sweep wing. The point is that a smaller lighter aircraft could just use AB for takeoff, and then not again reducing fuel burn and allowing supersonic flight in dry thrust. Not sure if you noticed: codename for new bomber is Messenger (Poslannik) . US is always saying about sending signals. Russians go even further, hey can send more than signals. why? bomber shall be either really fast (Anchar?) or very steath. Supersonic is neither and most of path flies with subsonic speeds. why AAMs only in non strategic missions? AAMs increase chance to survive and deliver actual load. then you likely loose stealth and some range. Your main advantage over Tu-160. I ain't no Russia expert but could it be that Poslannik means Emissary? Also, where was that codename mentioned? I didn't see it anywhere.